Jordanian journalist claims Israel created recent earthquakes in order to destroy mosque, church. Maal Zakarna, a columnist for Jordan's Ad-Dustour daily claimed several days ago that Israel caused the recent earthquakes by testing nuclear weapons or a new type of weapon underground. While nuclear testing does cause the ground to shake, the earthquakes it produces are unique enough that seismologists have been able to differentiate between nuclear tests and earthquakes for decades. 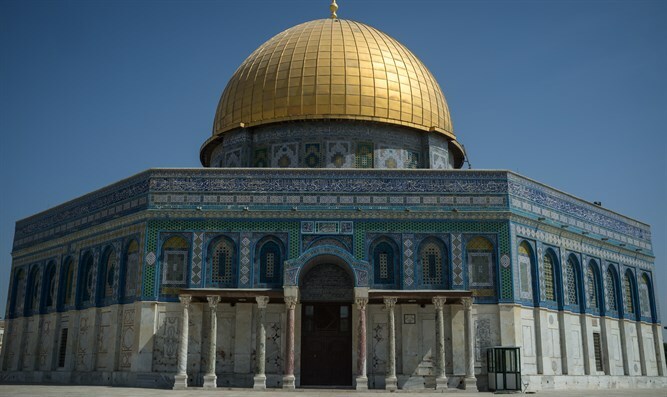 MEMRI reported that according to Zakarna, these "experiments" are part of Israel's attempt to cause a man-made earthquake in order to collapse Al-Aqsa mosque, the Dome of the Rock, and the Church of the Holy Sepulchre. "The earthquakes focused especially on the area of the Kinneret (Sea of Galilee - ed.) and its surroundings and measured around 4 on the Richter scale," Zakarna wrote in his article. "This raises the question of what caused these earthquakes, their timing, and their location. It could be that they were caused by experimental explosions carried out by the Israeli occupation's army at a certain depth under the Kinneret. [This would be done] in order to test new weapons, such as smaller nuclear bombs which have limited influence, or a conventional weapon created for use against regional armies, which the occupying state believes.... constitute a new kind of threat." "It could be that these actions are preparation for a major criminal action against sites in occupied Jerusalem which are holy to Islam and Christianity, and especially against the Al-Aqsa mosque, Dome of the Rock, and the Church of the Holy Sepulchre, while [at the same time] create a pre-planned earthquake to destroy them in preparation for creating a Holy Temple in the attempt to Judaize Jerusalem. "We cannot trust the Israeli occupation, since it acts, plans, and plots,a nd at the end of the day - destroys - in order to achieve political, geographic, and Biblical goals. It does not hesitate to use the technology, knowledge, and science in its hands in order to complete its planned expansion, while blaming nature and natural causes. It also is not ashamed to ask for aid from other countries in the region and the world, in order to cover up its crimes and carry out its plans for Judaization at their expense. "The other thing that raises suspicion that the occupation had a hand in creating these earthquakes is the fact that it did nothing and did not take any preparatory or cautionary steps of any sort to [help] deal with the large earthquake which its own expert geologists claimed would occur after the smaller earthquakes. The occupation continued to watch the public's reactions, until it understood that its mischief had been discovered and that no one had fallen for it. So they stopped the experiments." Israel and Jordan both sit on the Syrian-African rift, a strike-slip fault which is geologists believe produces a major earthquake every century or so. While geologists agree that Israel needs to prepare for a major earthquake which could strike at any moment, they are divided over whether the recent smaller earthquakes are a sign of an upcoming major earthquake or stand "alone." Earlier this year, a councilman in Washington, D.C., suggested on Facebook that rich Jews who control the weather caused an unexpected snowstorm.